IRVINE, Calif. – May 18, 2016 – Cybernet is proud to unveil the new iPC R2ix Rugged Mini Computer. This highly customizable system may come in a small size, but its highly customizable features and powerful system offers incredible functionality at an affordable price. This technology is a smaller form factor than many of the mini rugged computers on the market today. At just five pounds, it's perfect for use in the tightest spaces. Add in optional brackets and you’ll have the ability to mount your unit just about anywhere. The iPC R2ix is IP65 sealed, water resistant, and made with military grade components. “Our system has terminal blocks which allows it to be turned off and on remotely – great for embedded computing,” says Bagheri. 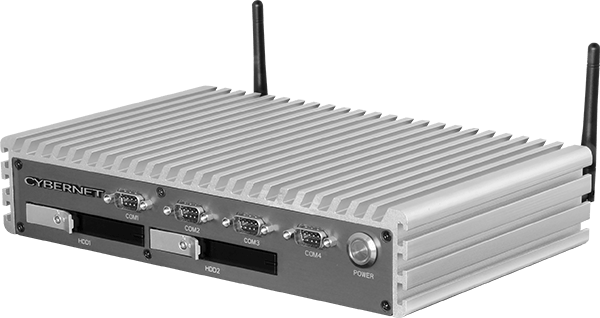 The iPC R2ix rugged mini computer has adequate legacy and USB ports to fit your needs, including up to three RS232 ports, one RS232/422/485 port, two USB 2.0 ports, and four USB 3.0 ports. It is Linux and Windows compatible. It is powered by an Intel Core i5 or i7 CPU. The iPC R2ix is highly customizable. Visit Cybernet’s website to see how you can customize the iPC R2ix to fit your business needs. As with every one of Cybernet’s products, the iPC R2ix comes with free lifetime phone support and extended warranties.